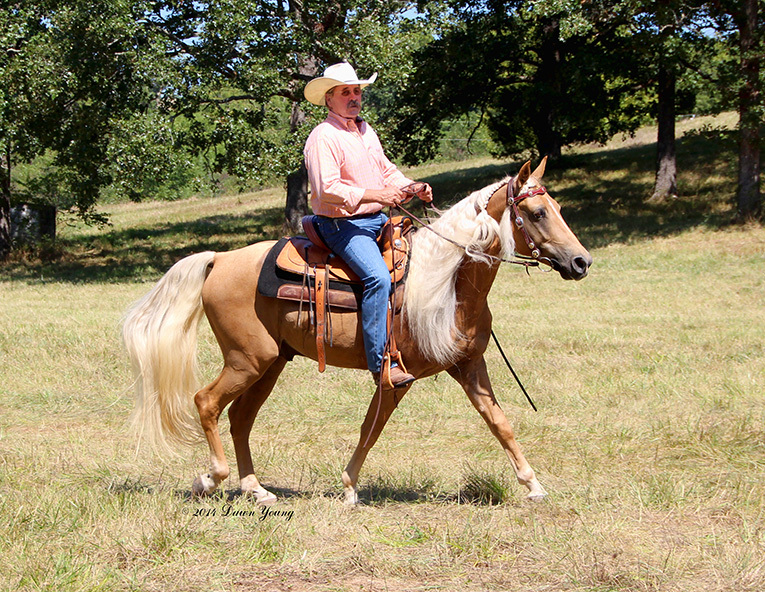 After seeing a video of this colt as a yearling – free gaiting to perfection while being ponied off of another horse, Blankenship Stables & Brandreth Farms knew this would be the one that would be able to do it all. 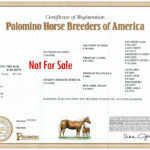 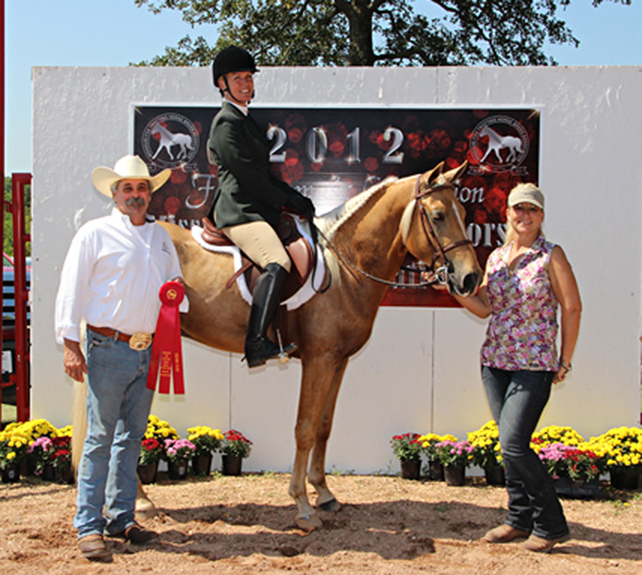 He was purchased by Brandreth Farms and renamed JB’s Raising The Bar – and raise the bar he certainly did. 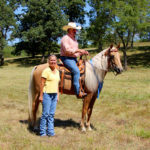 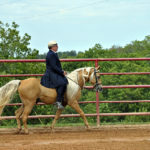 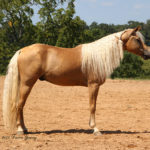 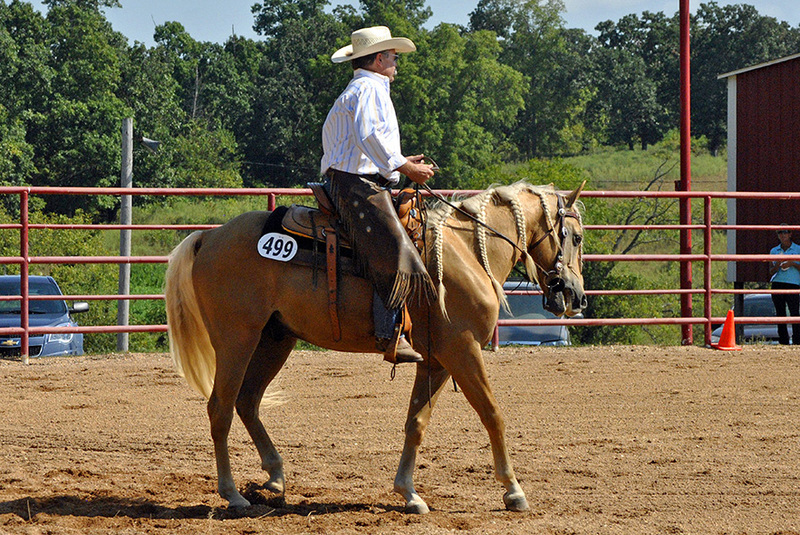 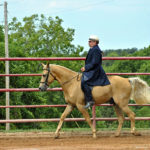 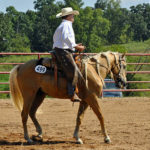 He was sent to Blankenship Stables to be started under saddle and trained for the 3-year-old Missouri Fox Trotting Horse Breed Association’s Versatility Futurity. 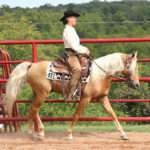 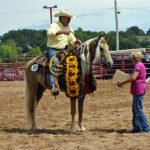 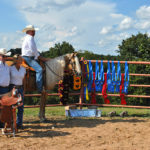 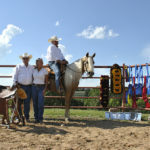 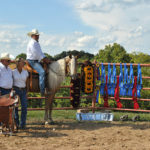 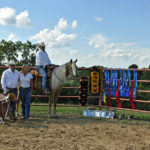 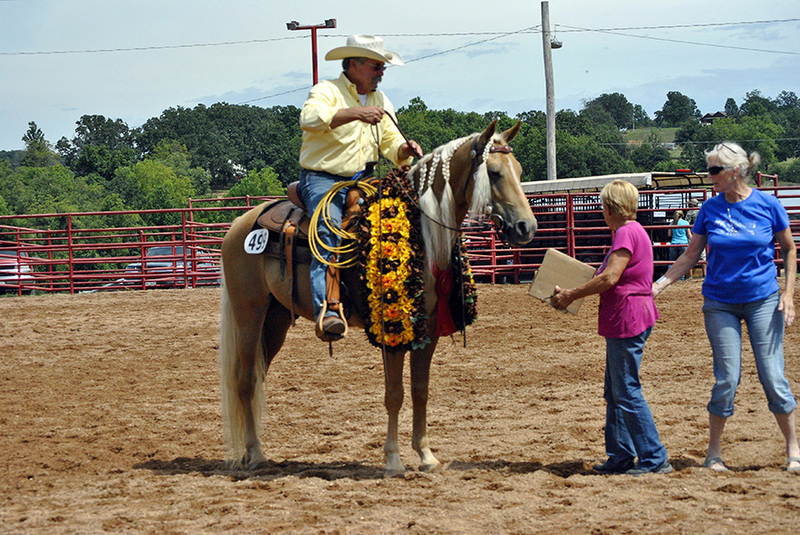 The beginning of Bar’s amazing career started when he won the MFTHBA Open Western Pleasure World Championship, one of the youngest horses to have claim this honor – then he went on to win Reserve World Champion Open English Pleasure. 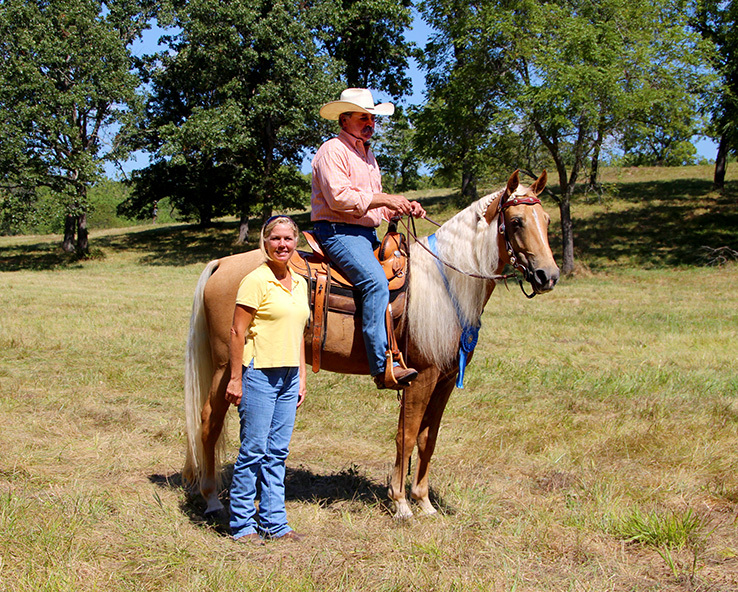 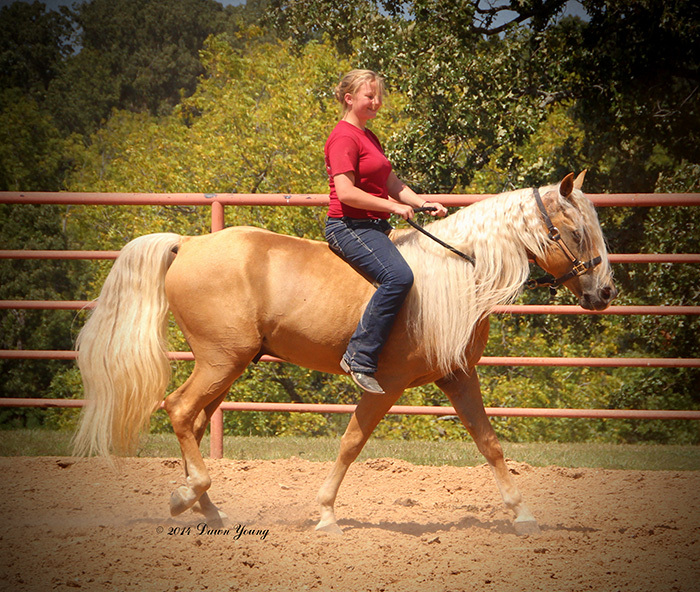 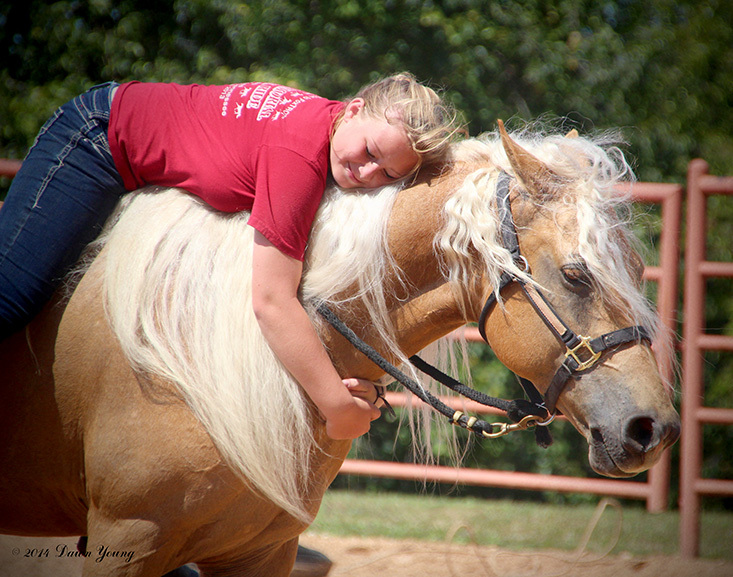 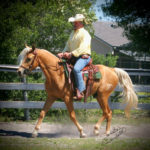 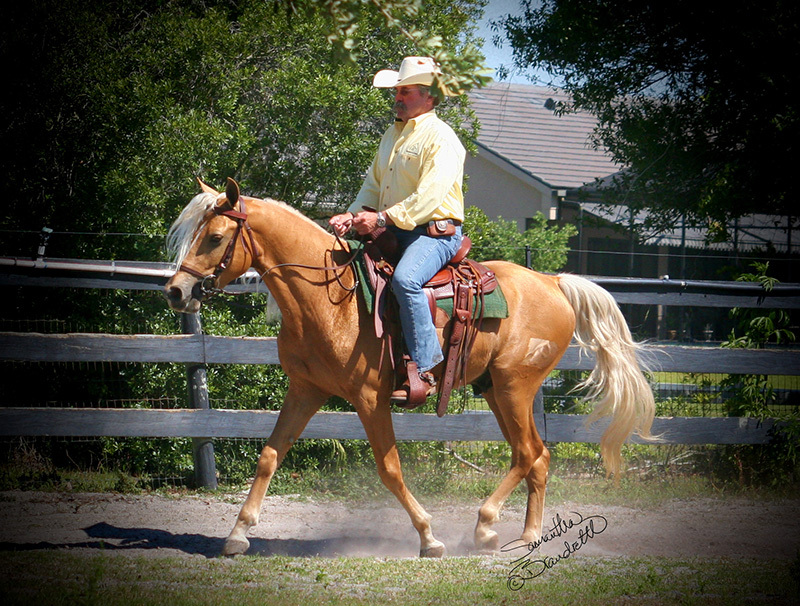 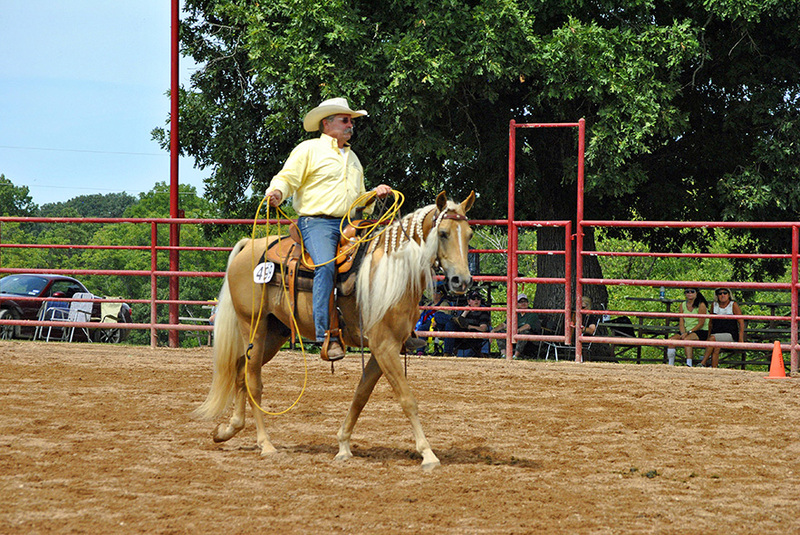 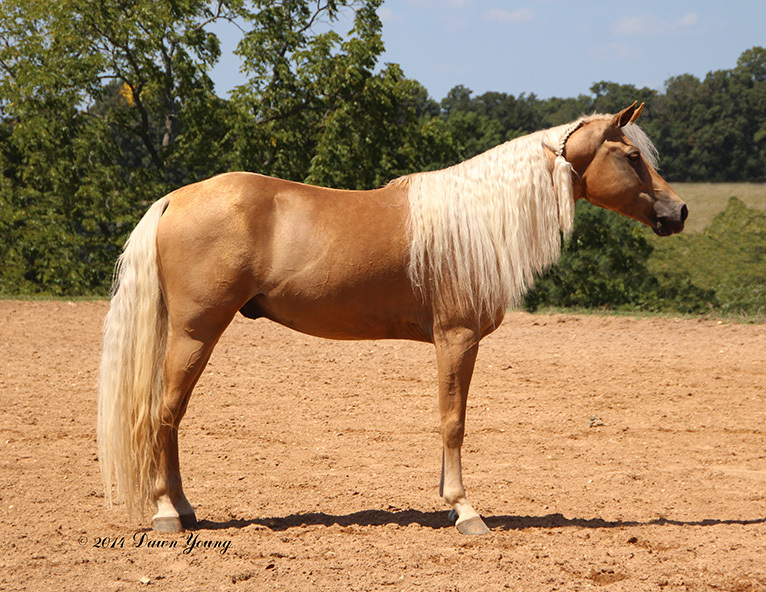 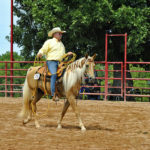 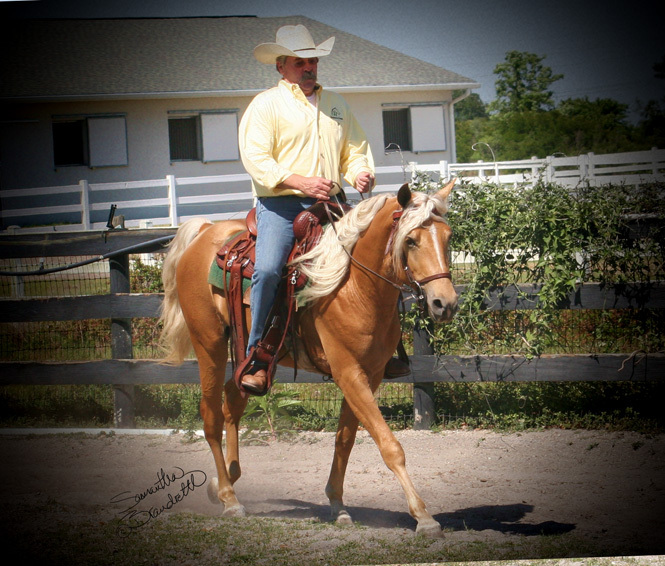 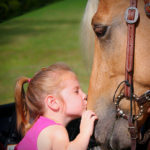 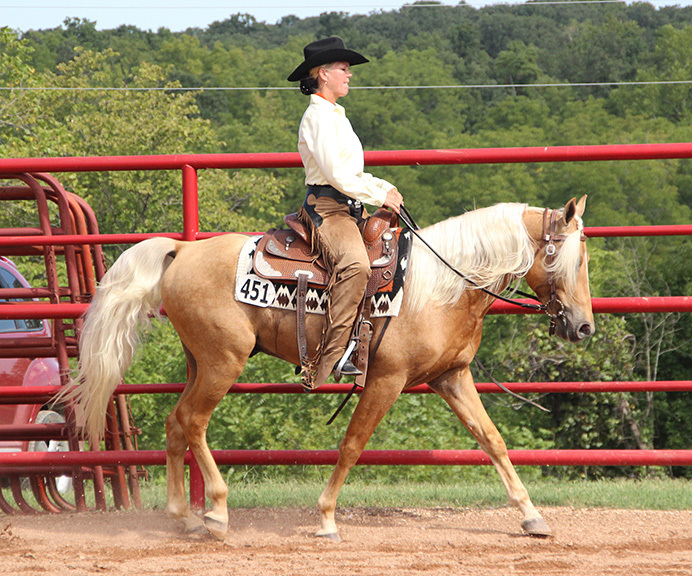 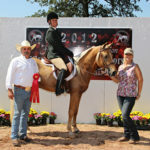 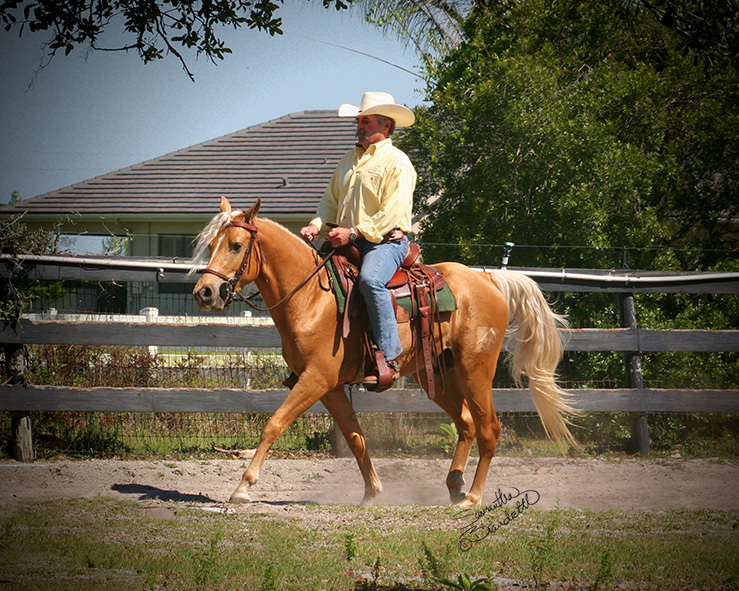 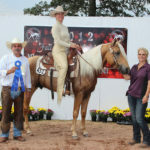 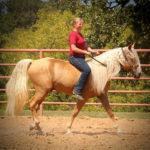 Tori said, “He was the easiest horse I have ever worked with and an absolute pleasure to start under saddle. 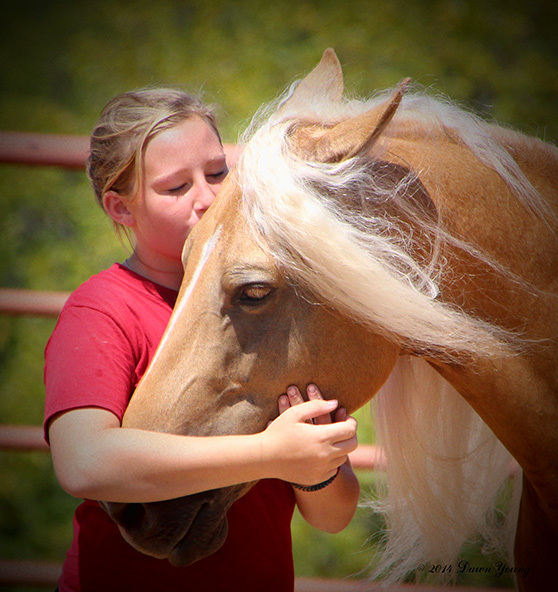 Kind, loving, intrigued & genuinely interested in his training work. 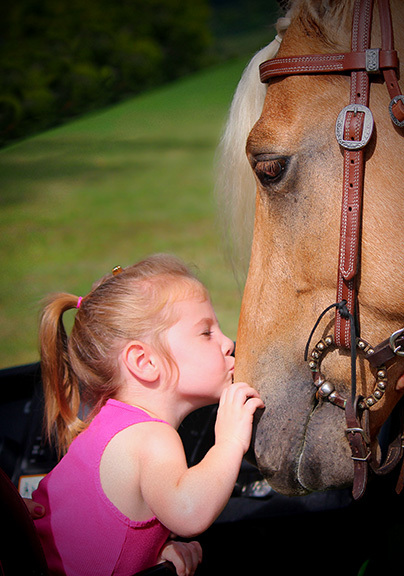 Like the teacher’s pet – always wanting to do his best to please. 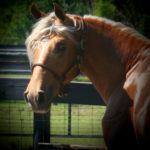 The fact that he was a stallion never limited him – he was always a true gentleman”. 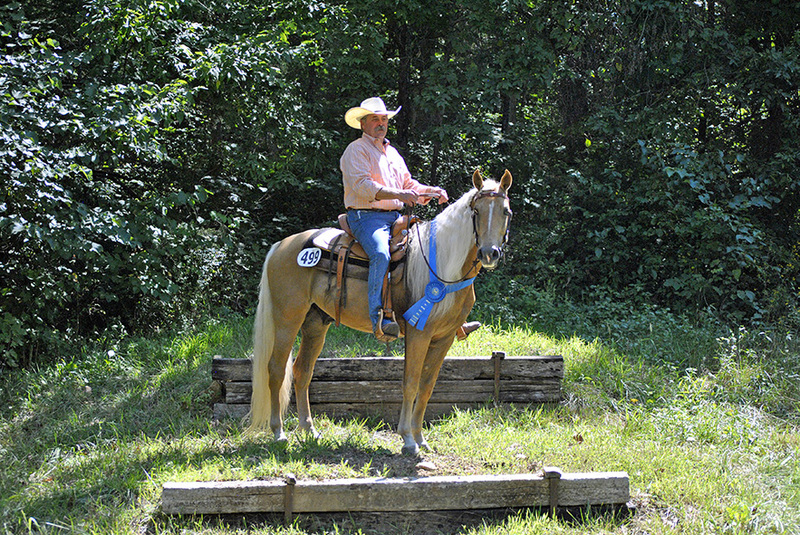 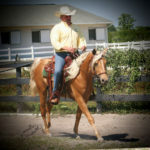 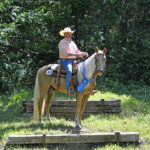 Bar returned to Brandreth Farms for trail riding & pasture time, after very successful 3 & 4 year old competitive years. 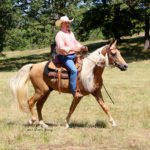 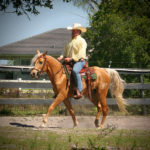 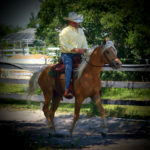 His owner John became his primary rider then, and would visit Blankenship Stables from time to time for coaching or working on areas that needed finessing. 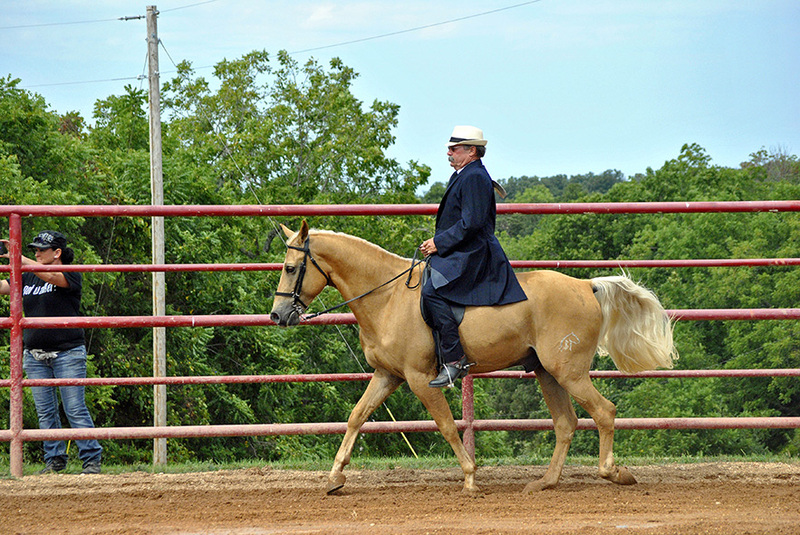 Also targeting new skills that would be developed for Bar to continue his show career – with his best friend & owner in the saddle. 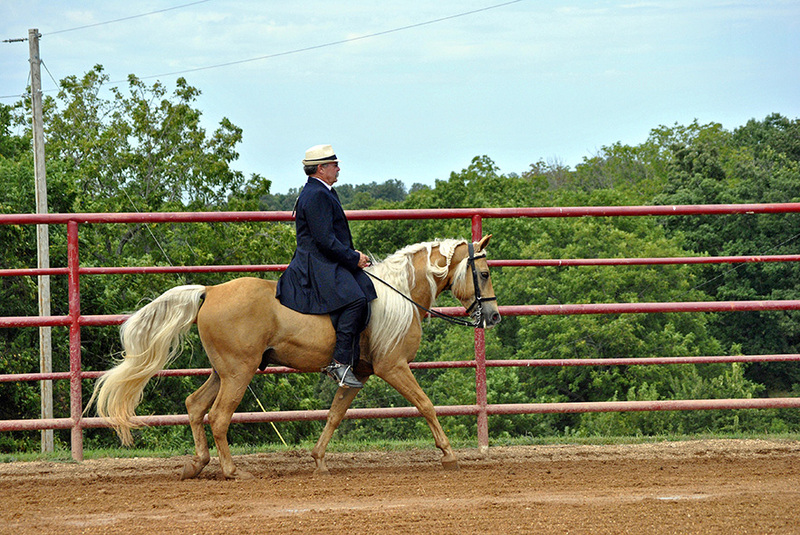 2014 was the first year that the Western Dressage Association of America had added gaited classes to their WDAA World Championship Show. 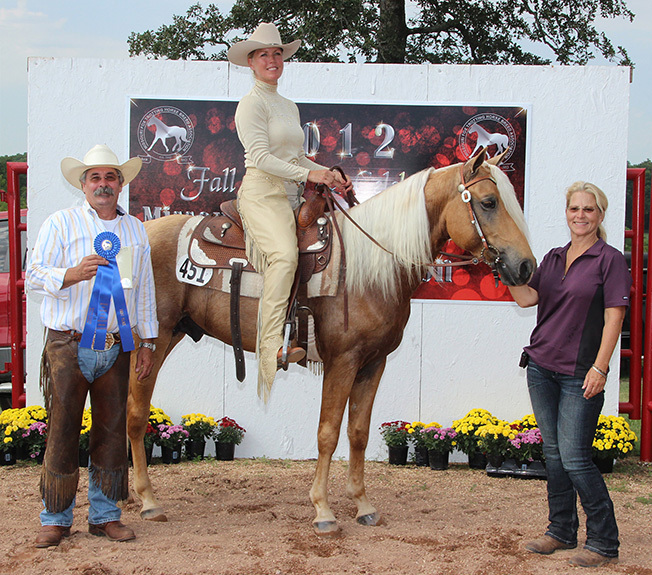 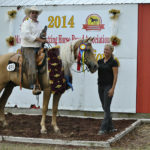 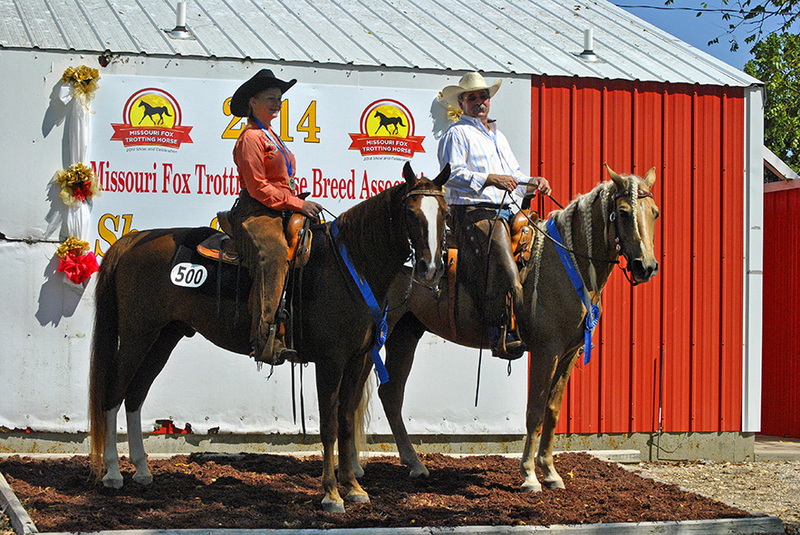 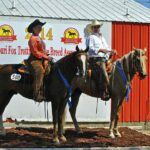 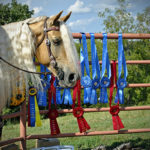 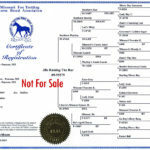 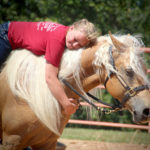 Brandreth Farm entered 3 of their outstanding Fox Trotting horses to be exhibited by John, daughter Isabella, and their trainer Tori Blankenship. 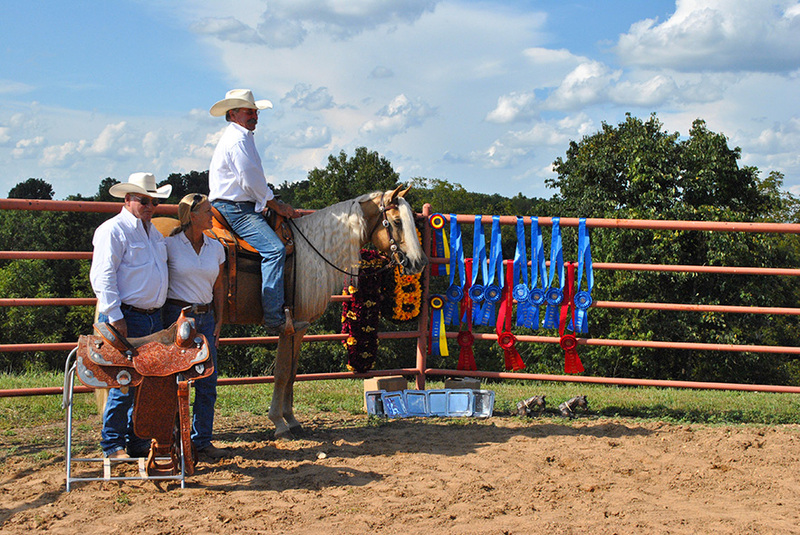 A last-minute change of plans, then change of plans again – dialed in Tori to be Bar’s exhibitor. 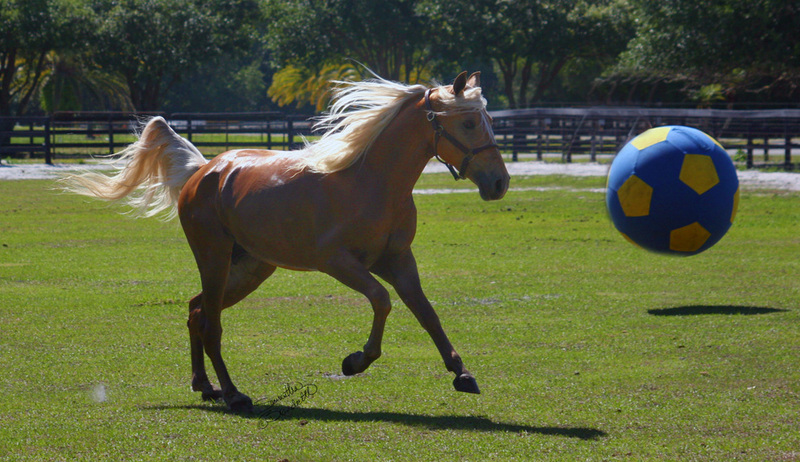 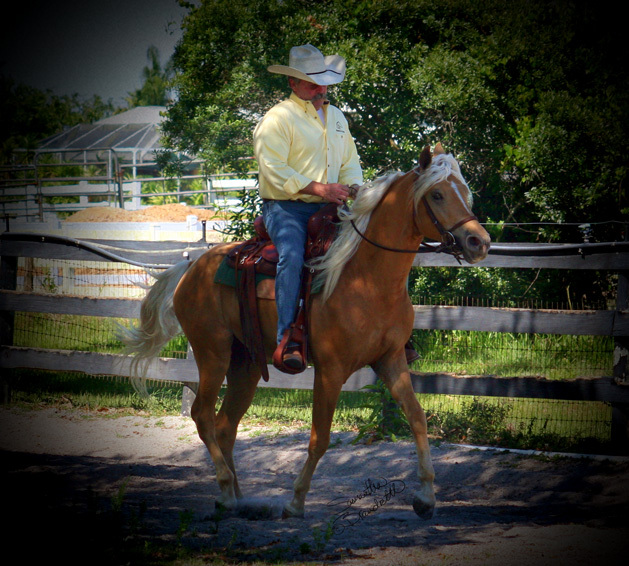 The future was so bright and held so much promise, to showcase the athletic abilities of this young, gaited stallion. 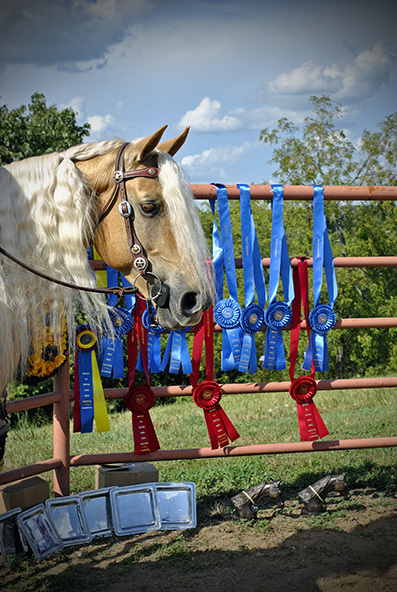 It seemed there was no limit to what he could accomplish, with ease and natural ability. 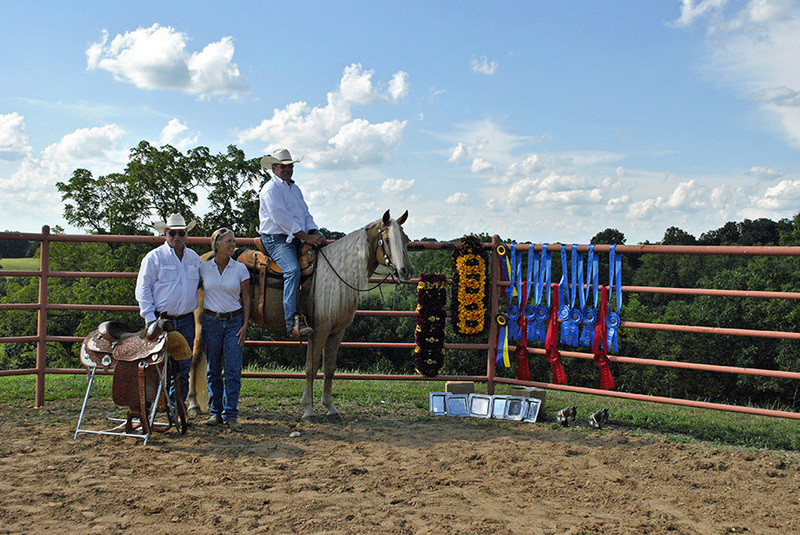 He would continue to raise the bar in so many more ways. 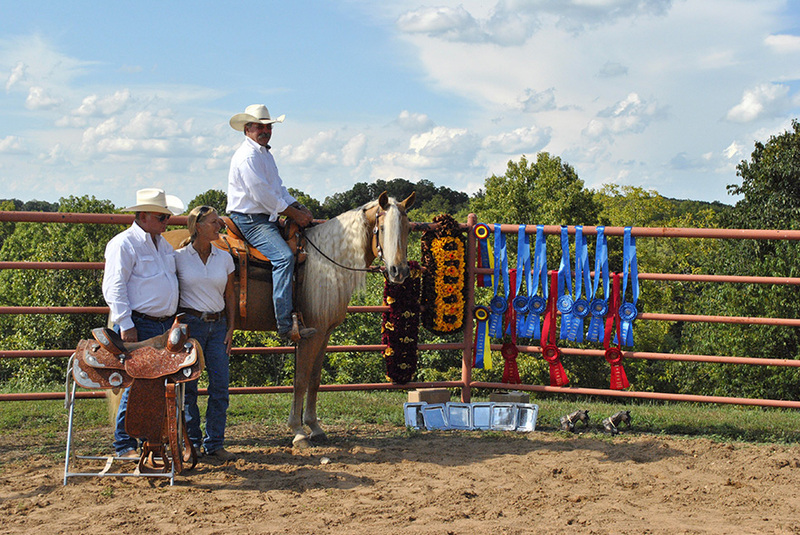 Four months after the WDAA 2014 World Championship Show, Brandreth Farms suffered a tragedy that resulted in the loss of 5 horses’ lives. 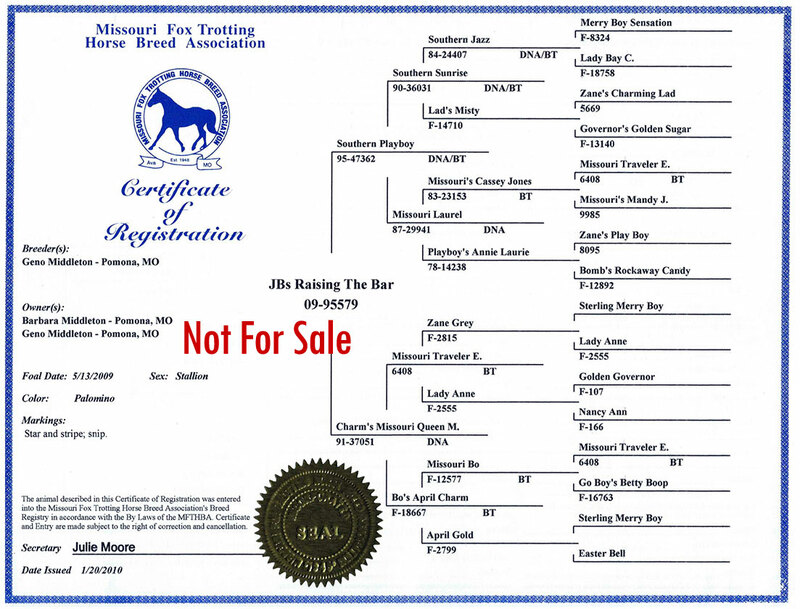 Bar was one of them. 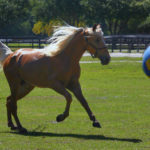 He was 6 years old. 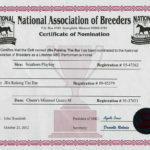 Last year the Brandreths’ had bred their multiple award-winning mare, (King’s Prairie Rose) to Bar twice, his first breeding attempt. 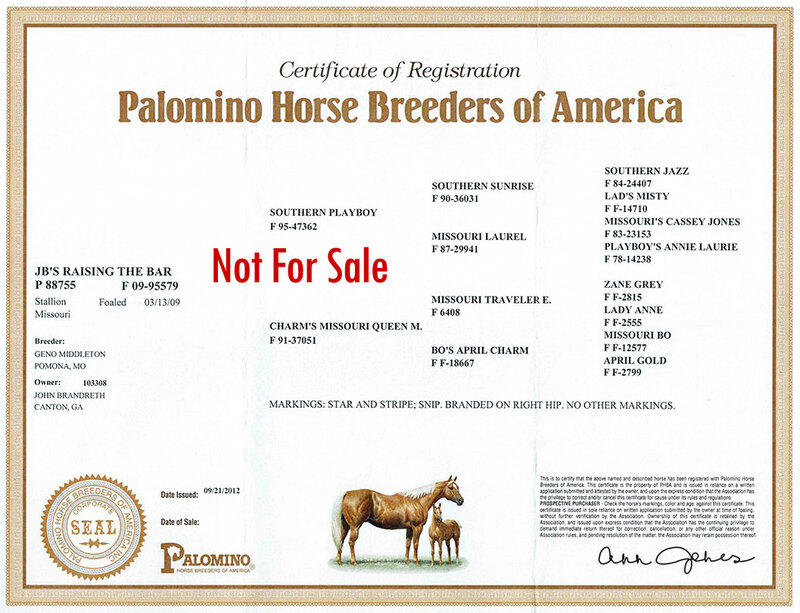 Both times the veterinarian report showed that the breeding – was unsuccessful. 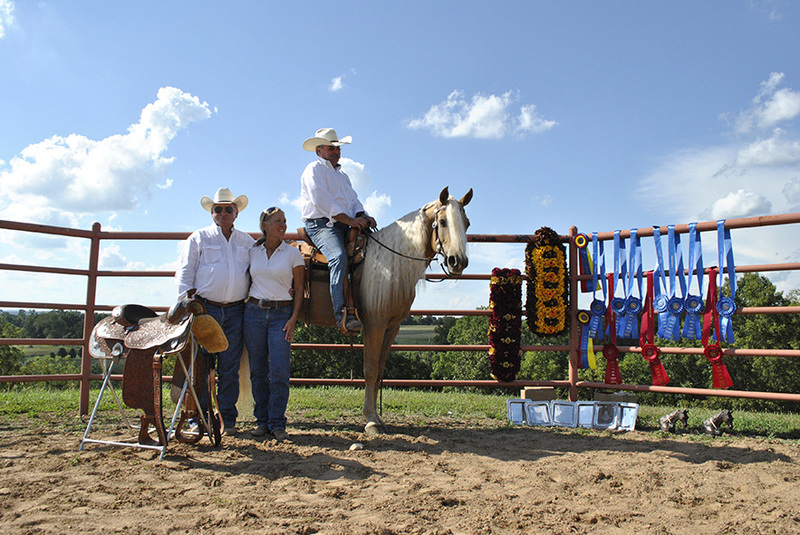 Miraculously, on June 30, 2015 Bar’s son was born. 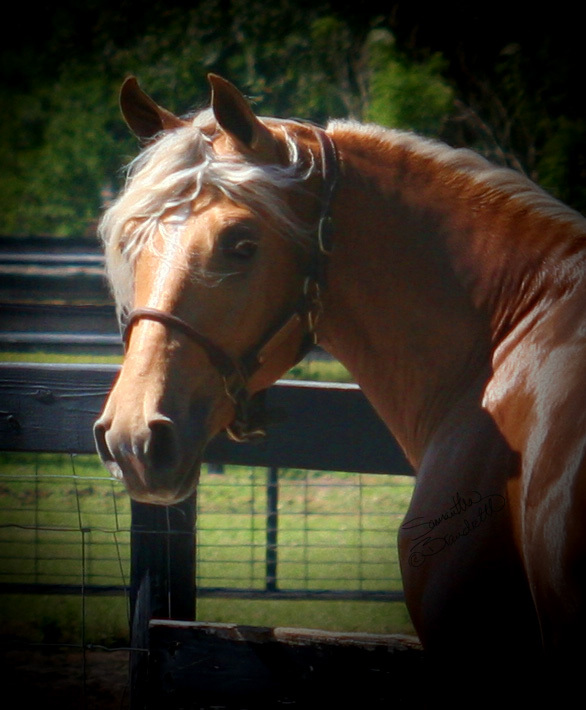 JB’s Phoenix Rising, a true miracle – rising from the ashes. 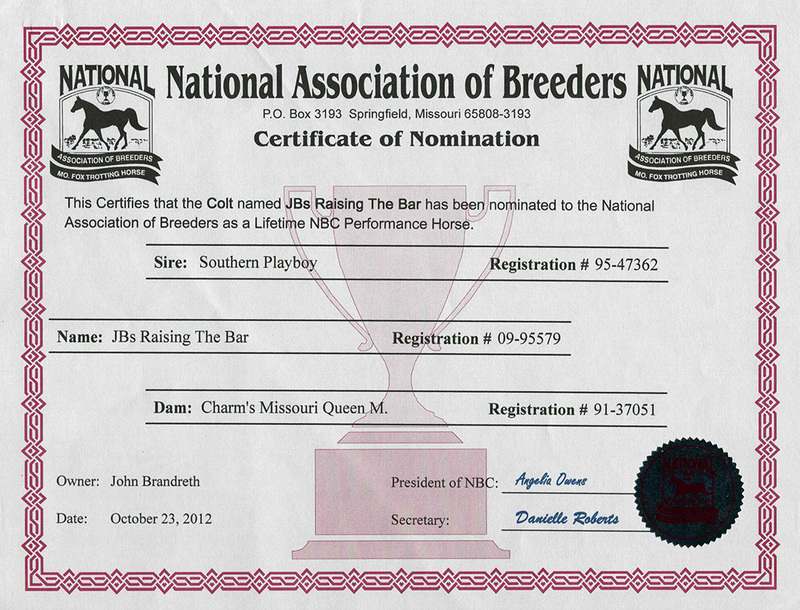 By the grace of God, JB’s Raising The Bar’s legacy will continue. 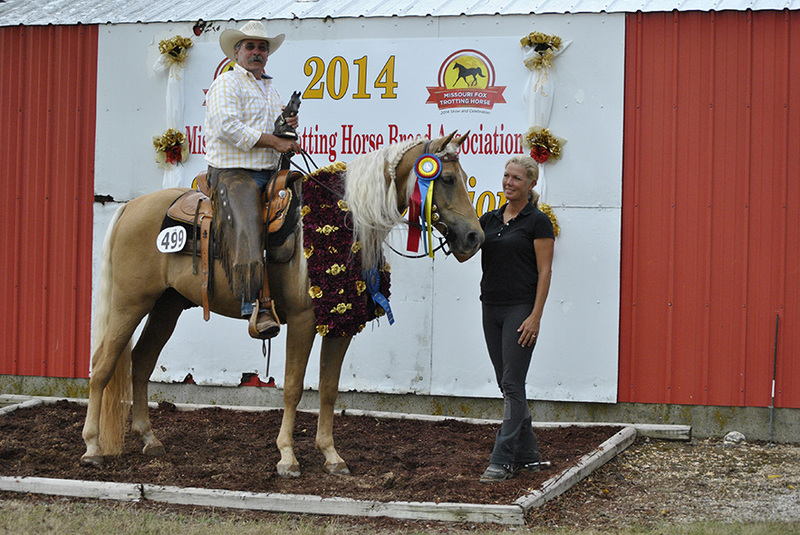 It is an honor for the Western Dressage Association to add JB’s Raising The Bar to our Hall of Champions.